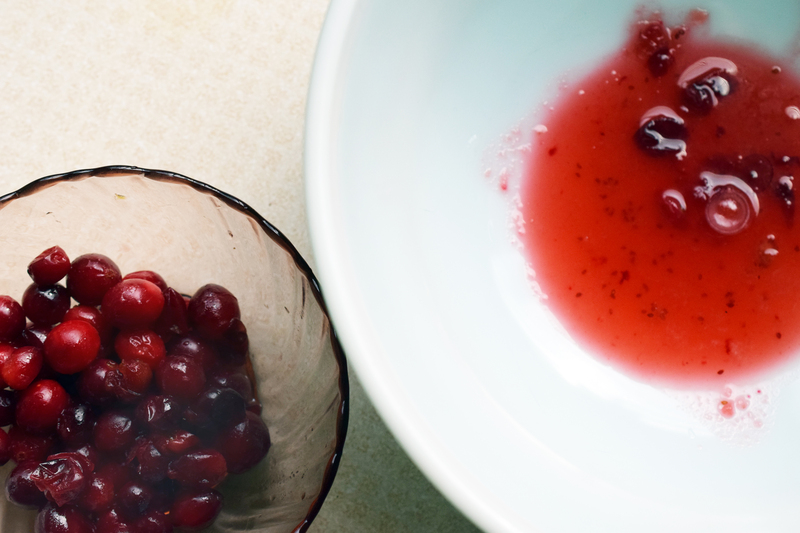 Tis the season… for appetizers! 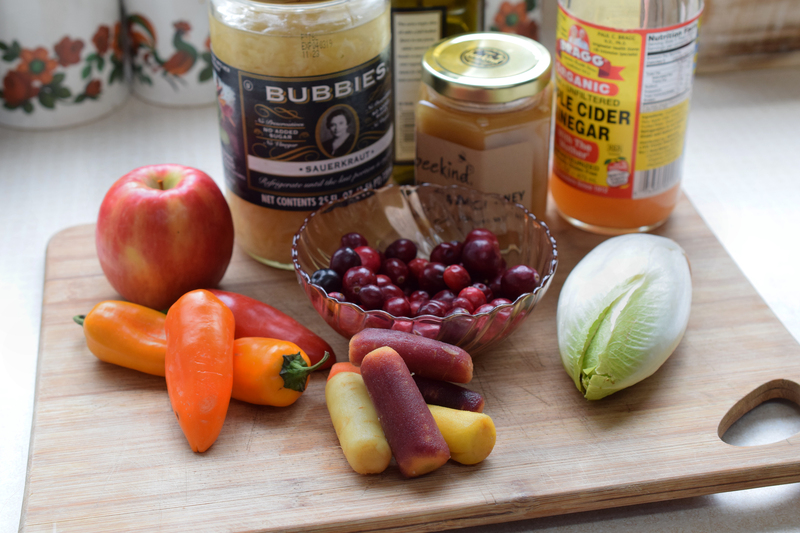 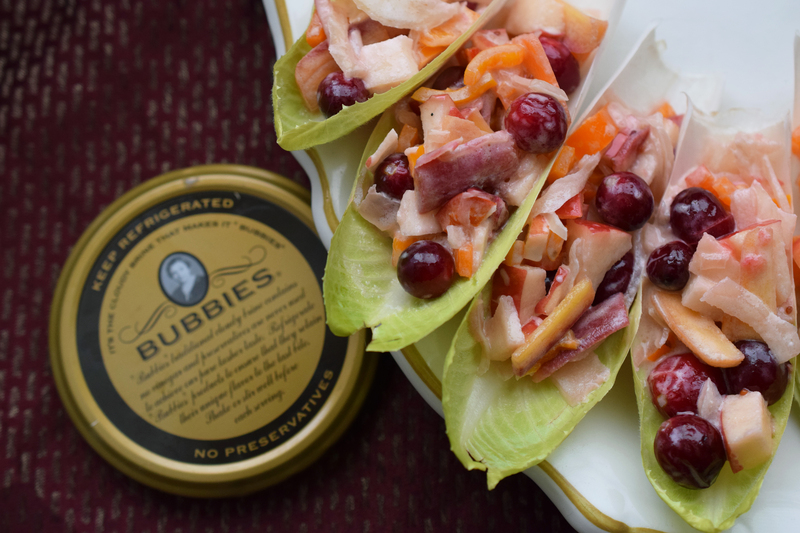 We love little bites and nibbles- and not just during the holiday season. 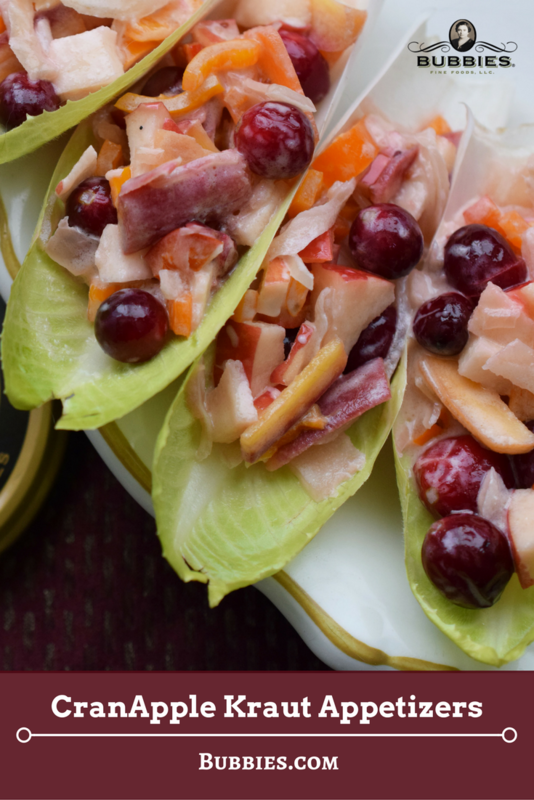 With the holidays in mind, however, we decided to create a seasonal sauerkraut salad that is not only beautiful and festive but delicious too! 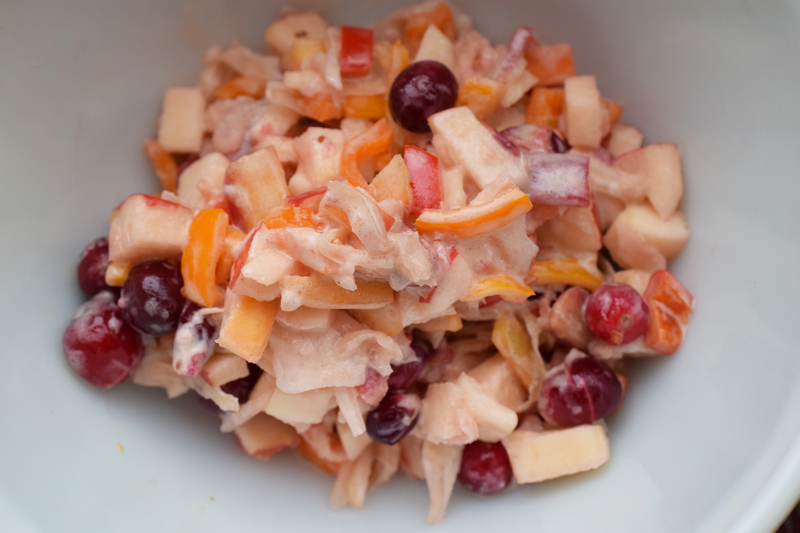 Crisp apples, sauerkraut, and simmered cranberries combined make for a tart, sweet and refreshing salad. 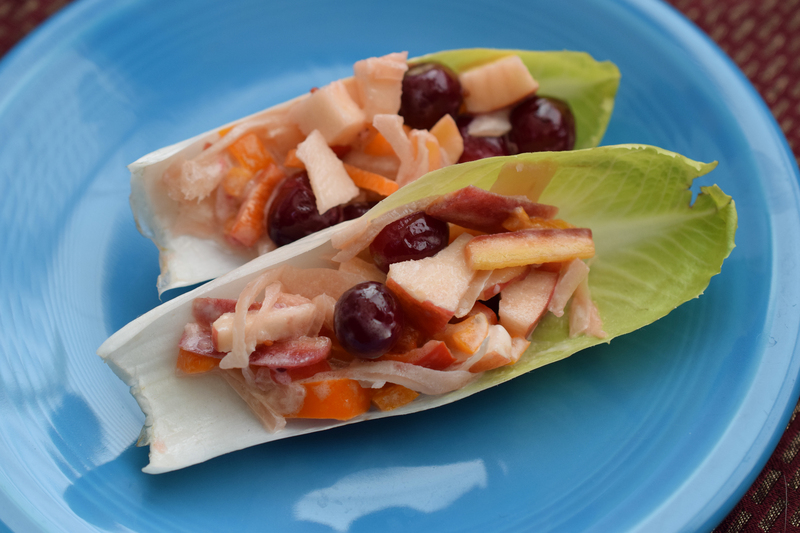 Serve in endive leaves for appetizers, or alone as a delicious crisp side salad. 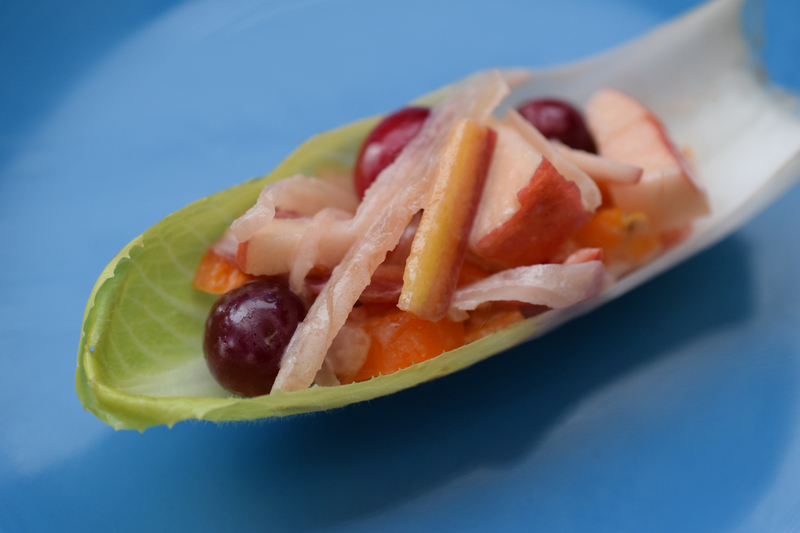 Break off individual leaves of the endive and fill the cup of the leaves with salad, or enjoy this salad all by itself!